Over the years, I’ve come to be wary of labels. In past lives, I have been identified as “the scientist who writes,” “the artist who does science,” “the designer who’s an artist,” and a lot of other ostracizing phrases. These words, I have felt, have caused more exclusion than inclusion, and has served to contain a person’s identity into one silly box as dictated by someone else. Isn’t each world enriched by the knowledge of the other? My mother was a genetics professor in a family of painters and photographers; thus I had childhood diet of Punnett squares and DNA sequences, and would often smell formaldehyde on Mom when her students learned about Mendelian genetics through crossing flies. (Her students secretly called her the Drosophila Queen). My summers were always spent in art school and piano lessons. I ended up doing my degree in molecular biology and biotech while working as a correspondent for a national newspaper. In between PCR reactions, dissections, and other tedious experiments, I would take photographs, write, and make. Later, doing art in Barcelona made me miss the lab; I would often always show work that had a scientific slant of some sort, which puzzled some of my colleagues. Even the poetry I was writing was geeky. Why these two? I’ve often looked at things with wonder, and thought that artists and scientists pursued their paths with the same curiosity. I realized that I wouldn’t have one without the other; I could not choose between two halves of myself*. I loved the rigor of science; to be able to discover things and arrive at exact answers. I also loved the looseness and profundity of the arts; it allowed me a lot of time and opportunities to play. 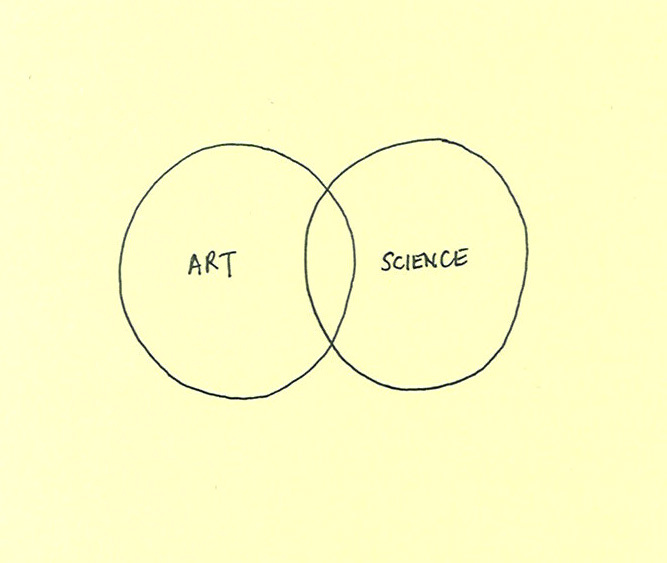 Doing science alone was too tedious; doing solely art felt like I was floating aimlessly. At the same time, I found that many of the questions I was fascinated with were investigated by artists and scientists alike; it came to the point where it was difficult to tell where the boundaries lay. 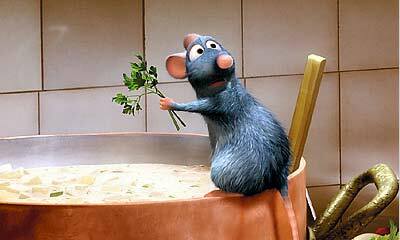 Remy from Ratatouille. Copyright Pixar. I think that up to this point, I have used design to contain the concepts and questions I have grappled with in art and in science. Things like “What makes you happy?” or “What do clouds look like?” or “What do you remember in a smell?” are questions that have both scientific and artistic facets to them, albeit in varying degrees. 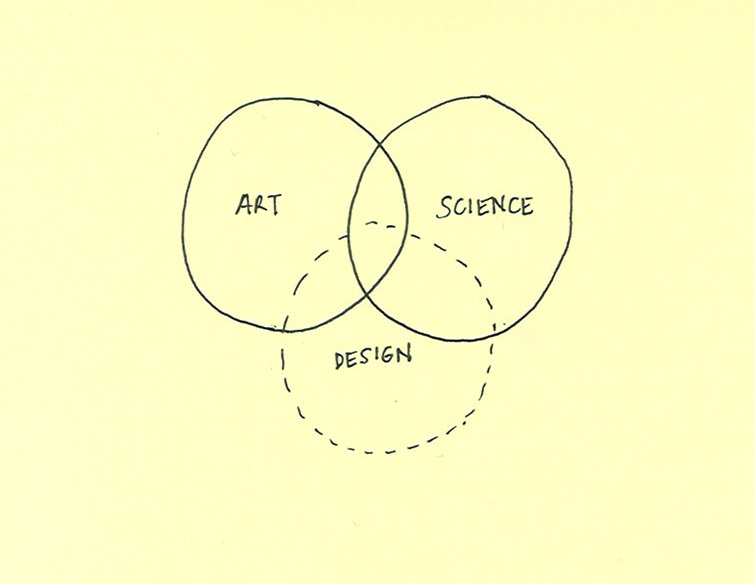 When I think about design in this way, I’m really happy that I chose interaction design as the third thing I wanted to study. Art and science are always the two broad areas that interested me, but it was design that allowed me to see how I can articulate these concepts to others. More importantly, design is a way for me to get other people to participate in what I do. I don’t think this makes one field better than the other; but it reminds me which hat I have to put on and which language I have to speak depending on where and when I am. I think this why I’ve struggled (i.e. drowned in ennui) with making things that are purely utilitarian. 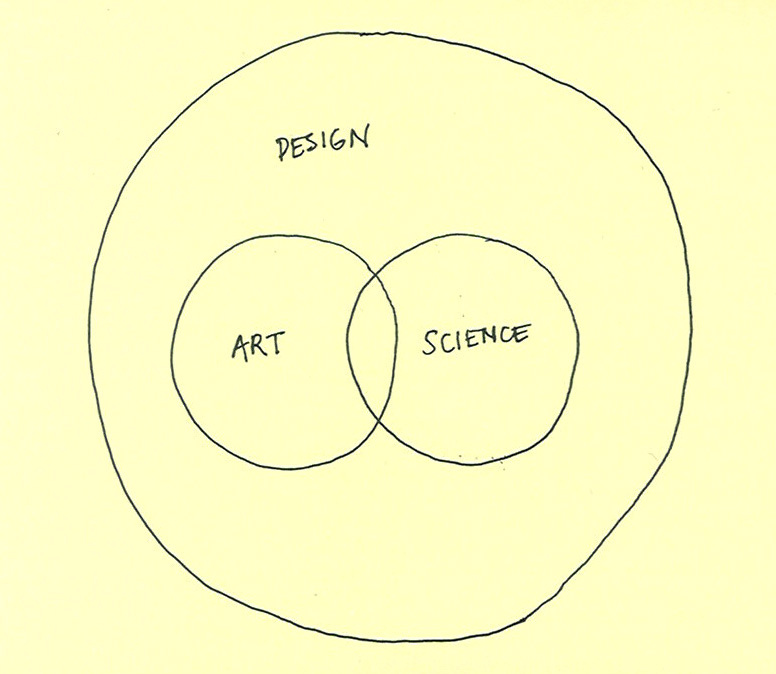 Design without the poetry of art and science at its core feels hollow and flat. I don’t think I will ever be truly happy by making living out of making things less inconvenient, or by satisfying people who just want to make more money—it seems like the stuff midlife crises are made of. It’s not that they aren’t important, because they are. It’s just that my happiest ideas and moments have been borne out of uncomfortable situations—getting the flu, waiting for hours in line, being stood up by someone. But I have always tried to make the best of them—I fill sketchbooks from cover to cover, I scribble poetry on napkins, I talk to a lot of strangers. I think that if everything were to run too smoothly for me, my life would be dull and flat, and I would never have had the happy accidents that have led to all these amazing opportunities and adventures. This reminds me of a pivotal conversation I had with one of my classmates, who said that I had to create a bridge between my mind and the mind of my audience. 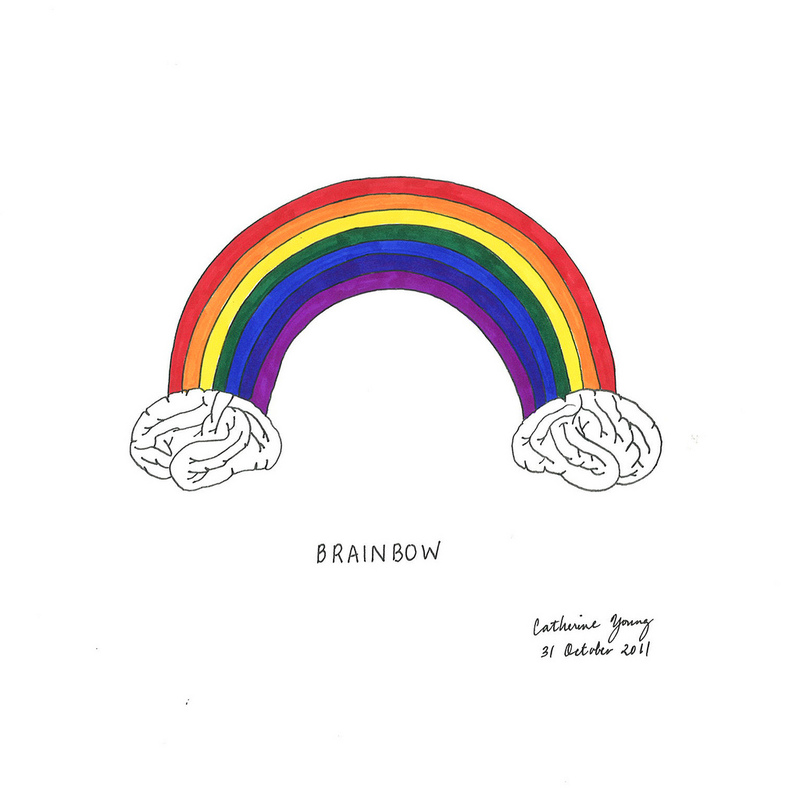 This led to my joke about “brainbows“—a rainbow bridge between the mind of an artist (or scientist) and those whom they want to connect with. In art and in science, I usually worked by myself, secluded and uncaring about what other people thought. To care too much about other people was seen as a disadvantage if you wanted to do something authentic and brilliant. But in design, it is imperative to care about other people, perhaps not everyone, but at least the user, the participant, or whatever word you wish to refer to the person you are designing for. And I think this is probably the best thing I have learned in the two years I have been in graduate school: to know how I can make my ideas as an artist or scientist accessible to everyone. The invisible walls I’ve seen that made art and science too abstruse and irrelevant to many are broken down by design, making these concepts available, relevant, and malleable by all, regardless of gender, language, education, and culture. And because of this, I like to think design creates bridges that people can walk on, so that they can allow the experience to be a part of their lives, thus enriching them. I’m hoping I will able to do that by posing simple, universal questions, and by coming from the point of view of joy and actual human contact, which I think is common for everyone, regardless of whether you have an MFA, or a PhD, or an MD, or no letters at all. Part of writing this is because I have been perusing journals from five years ago, and man, one knows how much she’s grown when, upon reading, she alternates between “Aww” and “Yikes!” I’ve done the painful and hilarious rereading of events—I went through quite a blur of taekwondo belt tests, French classes, and mammalian dissections—back in the day when I still ate red meat and wrote on notebooks with lines. (I’ve since gone pescetarian, finally with a black belt, and now go for the blank Moleskines. Hurray for all of it.) I smiled when I saw familiar things—one of my earlier (and forgotten) entries in 2007 was entitled “Celebrating the Senses”—some things just persist from youth, I suppose. I wonder then, if my future self would challenge this current view. Just as I am alternately charmed and exasperated at the naïveté of my 23-year-old self, perhaps my future self would read this post and smile knowingly at all the things she has yet to learn. Perhaps when we look at the totality of all our different identities, we will find that we are all of those things and none of those things at the same time. And I think, isn’t that marvelous.